Blockages are a real nuisance. And making sure that you are not the next victim of the horrible waste coming into your property is Blocked Drain Manchester job. We will deal with the horrible situation for you as this is our job and we are experts in dealing with this smelly and undesirable job. Call us to handle the job when you want it dealt with today. We will arrive with all the specialist equipment needed to take on such a job and save you the headache that such a problem can cause. When you want someone to come to your property and rid you of the dirty job of ensuring that the drains are unblocked then you really need to call us. We can ensure that the drains will be free and running away with all the waste water in no time. All too often there will be an object that has been put down the drain that is causing a blockage. That will be blocking the drain in a hard to reach place and will be difficult to remove if you have not got the expertise to free blockages in your drains. That is where we step in and ensure that the drains are running just fine. Our years of experience in unblocking drains means that the drains will be unblocked using drain rods and drain high pressure jetting equipment. We can access the drains for many metres under the property. The blockage could be 30 metres along making it very hard to access for the average plumber. A drainage expert can access the blockage using jet equipment with up to 100 metres of hose. That is why you may wish to call the experts before you take on such a job because not only will the job be difficult if the blockage is further along but it may be impossible to reach without specialist equipment. Most everyday blockages happen because a homeowner has let fats and oils build up over a period of time, if left to it’s own devices this build up can gradually get bigger and bigger until no water can pass through you drain at all, this is why Blocked Drain Manchester recommends cleaning your drains and pipes regularly and thoroughly to prevent emergency call outs. Blockages can be removed by their property owners, but sometimes this can be a long and stinky process. All Manchester Locations. Leave the dirty work to us, it doesn’t matter how small big far and wide, whether it’s a blocked toilet in the Trafford Centre, or an external drain blockage in Newton Heath! Blocked Drain Manchester will be there in your time of need with the vital experience knowledge and the most cost effective resolution to your problem. We aim to get the job done quickly and effectively with as little disturbance to our surroundings as possible, you don’t have to get down and dirty with your blocked drain! 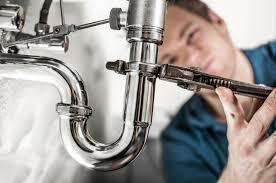 Leave it to your local professionals at Blocked Drain Manchester We’re only a phone call away! Speak to one of our friendly staff and get a quote over the phone in minutes today, book in for later or we can get to you within a 2 hour period.